So far what I like about her the most is her desire and commitment to partner with other musicians to create her vision of music. Love people working together instead of competing - we need more of that! 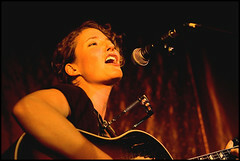 Check out this video: Kathleen Edwards "Back To Me"